A map of the regions of Colombia, the main emerald-mining territories located just outside of Bogota. 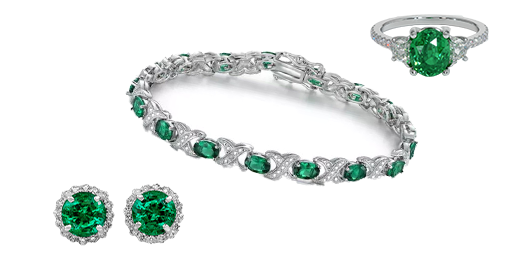 According to Keller (1990), Colombian emeralds are located in two large mining districts: the high altitude Chivor district which is about 75 kilometers northeast of Bogotá, and the 360 square kilometer Muzo district which is centered about 100 kilometers north of Bogotá. The Chivor district includes the Chivor, Buena Vista, and Las Vegas de San Juan mine, which is more commonly known as the Gachála mine. The Chivor mines are located in rugged almost inaccessible country covered with thick cloud forests. The Chivor mine is the only privately-owned mine in Colombia. The Buena Vista and Gachála mines operate under leases from the Colombian government. Emeralds from the Caribe Jewelry and Emerald Museum in the Chivor district. The mines of the Muzo district include the Tequendama, Santa Barbara, El Chulo, Coscuez, and Peñas Blancas mines. The district is owned by the Colombian government, but it is worked by private mining companies who operate under leases. The Muzo area is covered with hot, humid low land rain forest. Although the two mining areas are distinct, they do have some geological and mineralogical similarities. 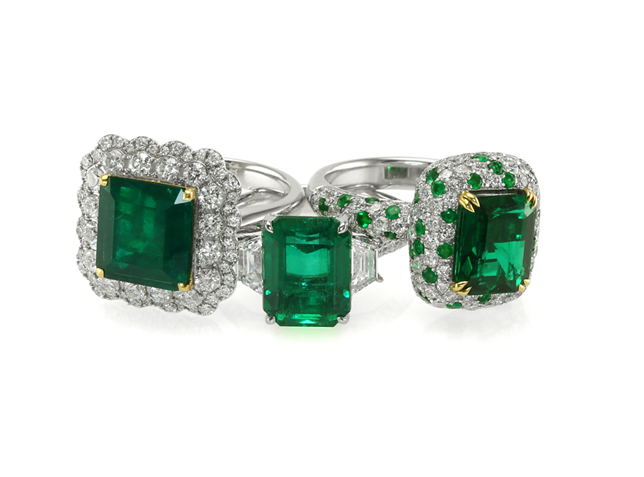 The emeralds found at both areas have significant inclusions , which are called “jardin” in the gem industry. 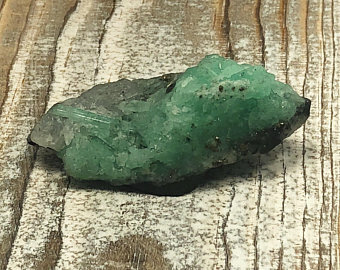 In many cases, it is possible to distinguish the gems from the two districts: Muzo emeralds contain tiny bits of dark organic material, and the Chivor stones contain tiny pyrite crystals. 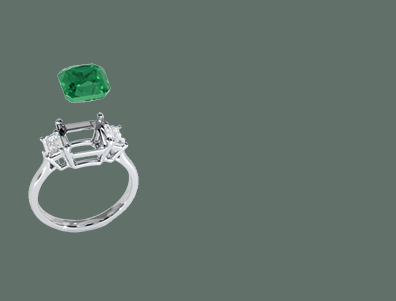 Muzo is known for its bright pure green emeralds, although it does yield some bluish green stones too. 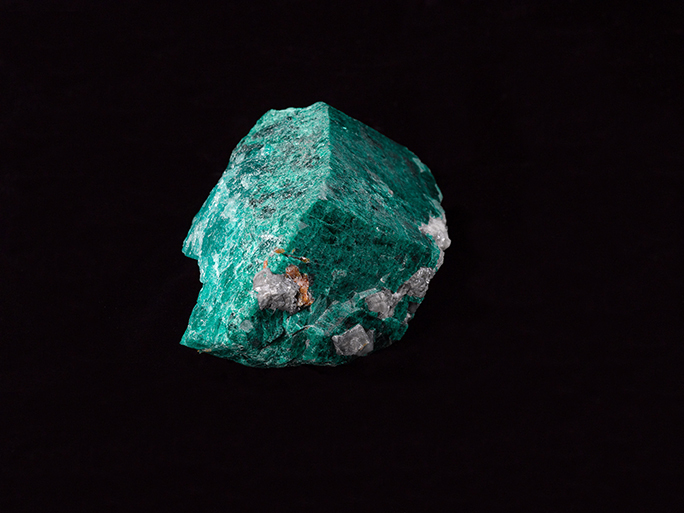 Chivor emeralds tend to be bluish green while those from Coscuez lean toward a brighter green, earning the nickname ‘green fire.’ When new mines are discovered in Colombia, their yield is often compared to rough from traditional sources. For example, crystals from the La Pita mine which first had significant production in 1998-1999, were described as being not as yellow as Coscuez, not as blue as Chivor. Spanish conquistador Gonzalo Jiménez de Quesada made the first European contact with the Muisca. 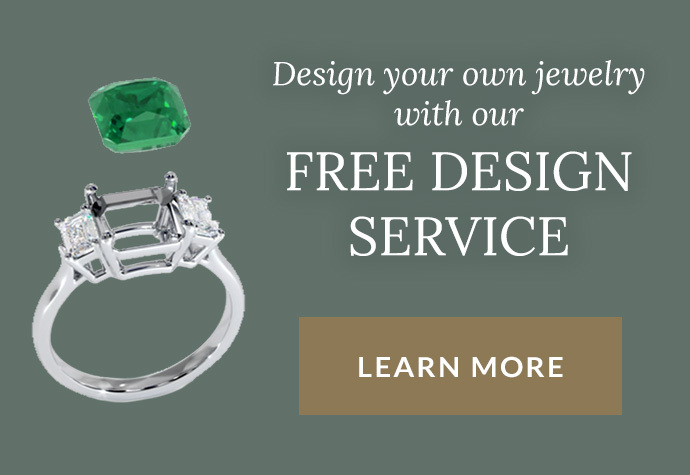 The pre-Columbian history of emeralds is full of interesting facts and legends. The Colombian Indians were mining and trading emeralds throughout South and Central America well before the Spaniards arrived. 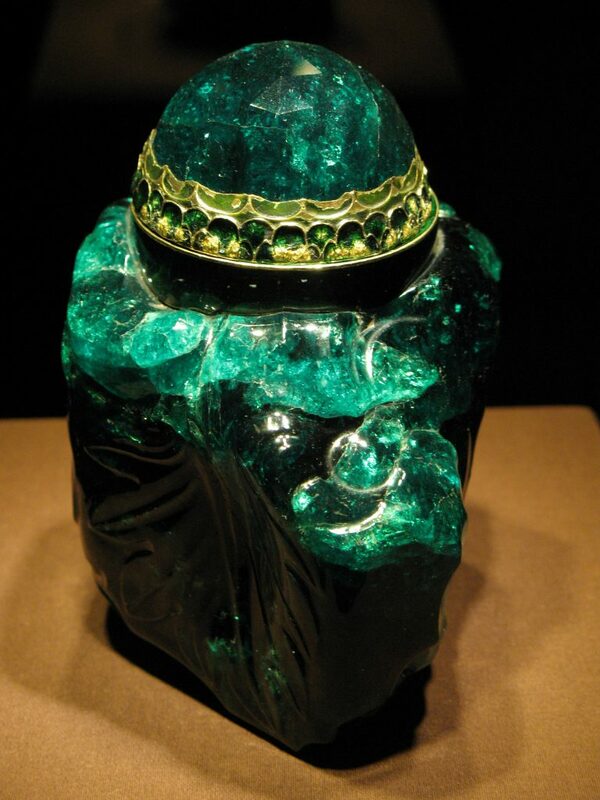 After 1537 when Gonzalo Jimenez de Quesada conquered Colombia, the conquistadores learned that the source of the emeralds was located at Somondoco, a word that meant “god of the green stones,” known today as the Chivor mine. In the 1560s, the Spaniards began mining in the Muzo area as well. The Spanish worked the Muzo and Chivor mines with local Indians forced into slave labor. The inhumane treatment of the Indians was well known at the time. 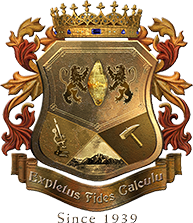 By the middle of the 17th century, the production of both mines declined due to a lack of available labor and the fact that the Spanish mismanaged the mines. In 1675, the Chivor mine was abandoned and its location became a mystery that endured for over 200 years. In 1888, a Colombian mining engineer named Don Francisco Restrepo located a 17th century manuscript indicating that the legendary Chivor mine was located in the Andes at a spot where it was possible to see the plains of the Orinoco through a pass in the mountains. A map showing a detail of the Chivor mining district in Boyaca, Colombia. It was not until 1896 that Restrepo located the mine after scouring the countryside for almost a decade. In the course of Restrepo’s long fight with the Colombian government for rights to the mine, he joined forces with a German mining Engineer named Fritz Klein. 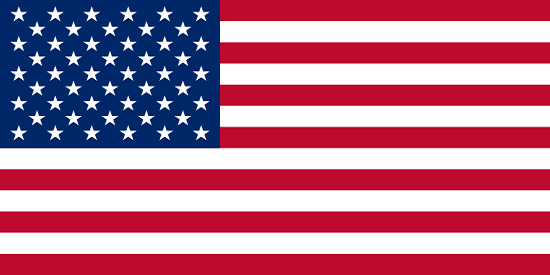 After World War I began, Restrepo died and Klein lost all rights to the mine to a U.S. company. The situation at the Muzo mines was different. The mines were worked sporadically from the 17th through the 19th centuries. However in 1871, when the mines came under government control, production dropped to a mere trickle and chaos descended on the area. Only very recently has some organization and lawfulness returned to the district. 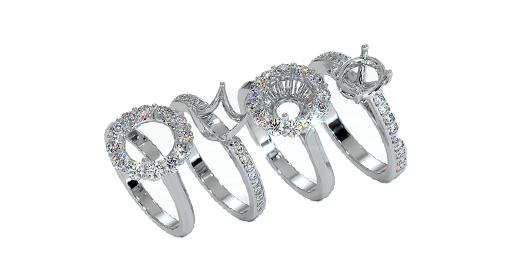 Today, Muzo is considered to be the most important emeralds mine in the world. An impressive 2,860 carat Colombian emerald from the Muzo district. Government control of the Colombian mines has been a mixed blessing. Life at the mines is very harsh, and illegal mining is rampant. 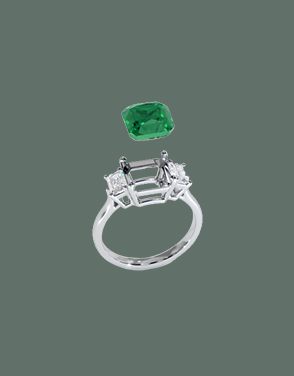 It has been estimated that only about ten percent of the country’s emeralds are sold legally. In the 1980s, the country was faced with what came to be termed the Green Wars. Characterized by territorial disputes between some of the leading emerald-mining families, the various drug cartels also got involved and multiple conflicts resulted in more than 6,000 deaths over the decade, mostly civilians. One miner, Victor Carranza, emerged as the tsar of the Colombian emerald industry, and partnered with the Catholic Church in the 1990s to attempt a restructuring of peace and prosperity for the country and the mining industry. While he carried on with exerting political pressures and ruling productivity with an iron fist, it was a more peaceful time than before. With the death of Carranza in 2013, Colombia has seen five years of greater foreign investment and multinational companies exploring the industry, efforts at formalization of the process to achieve greater transparency, traceability, and less violence have reimagined what the emerald industry could mean for the local population. Catalina La Grande is the second largest raw emerald in the world. Found in the historic Muzo mine in Colombia by Victor Carranza. 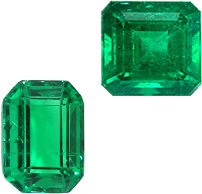 Heralded for its deep green color, it is 4,700 carats and very pure. 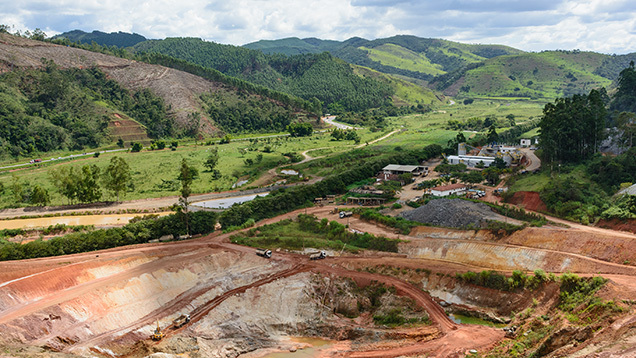 Continuing our exploration of emerald sources, we move to another South American country, also fraught with political and societal unrest, in our guide to Emerald Mining In Brazil.